Happy September! This has been an August here we hope never to repeat again. was saying "I need this project...oh and this one too!" I needed them to pack around pictures! In the meantime, we are trying to be as normal as possible. We will keep our classes as best as we can. Toni is Arizona, however, to get out of the smoke because of breathing issues. We're not sure how long it will be before she comes home so we will keep you updated on her monthly groups. A favorite motto of mine has always been "this too shall pass". I said that over and over when my kids would go through phases and I need to remind myself now. Some things we are sure of and we do know it will snow in Montana! Our country sure has some crazy whether extremes right now! Important date: September 5th is the last day to pick up your Row by Row block until November 1st. We will be able to sell it online after that so watch so if you haven't been able to pick one up you can get it on our web site then! Classes we do know we will be having at this time: It would be best to call the store to make sure however. We will be starting a new Block of the Month in September. We will be using the book Holiday Wishes. Our version will be made with purple/teal/green batiks. Everyone voted for jewel tones and we think it will be fabulous. Sarina already has a couple blocks done already so we know it is great! We still need to determine the fabric price per month. The book is $19.95 to be paid at the first month. Finished quilt size is 58 1/2" x 73 1/2". 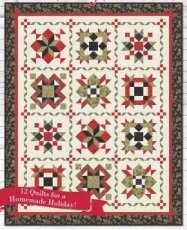 Sharon will be teaching this classic quilt pattern. It is a perfect quilt perfect for beginners! 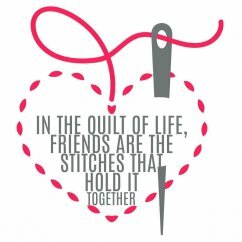 Those with experience who are wanting to make a fast quilt are welcome to join! You can create your own size depending on how many fat quarters you want to use. Sharon has made 3 version of it already 2 in batiks (the bright one is pictured) and a cozy flannel version. When everyone comes back from evacuating we will be able to schedule more later in September. Sarina and LaRee both have great new table runners to show off. Teresa said she would repeat her machine quilting class again for those who missed it the 1st time. Grateful for all our friends who are praying for our community and for encouraging us!